Children have a tendency to be self-centered at a young age. Studies have shown that children are inclined to focus on themselves before others. They are much more inclined to worry about getting their own milk before seeing if others are taken care of. It's completely normal for children to behave this way at a young age so it can be helpful for adults in their life to guide them into the habit of giving. Sometimes in our modern climate it's hard to find moments of joy. Media imposes harsh realities and current news can make it seem as though there are few moments of good in the world. Children are not immune to feeling the effects of negativity in our social sphere. Building your child's self esteem is another big impact of helping them practice charity. Seeing the impact of their contribution to another person shows them that they can make a real difference in the world. That is why it is so important to add some light to your community and promote giving to our children. There are many simple ways that you can integrate giving into you and your child's lifestyle. Donating clothes and toys that you aren't using is a great way to give back to your community. Be a good example for your child by ridding your closet of clothes you can live without and donate to the less fortunate in your community. Hand your child their own bag and help them thin their clothes and toys. Make sure your children are actively involved in this process. Food is a gift to the body and soul! 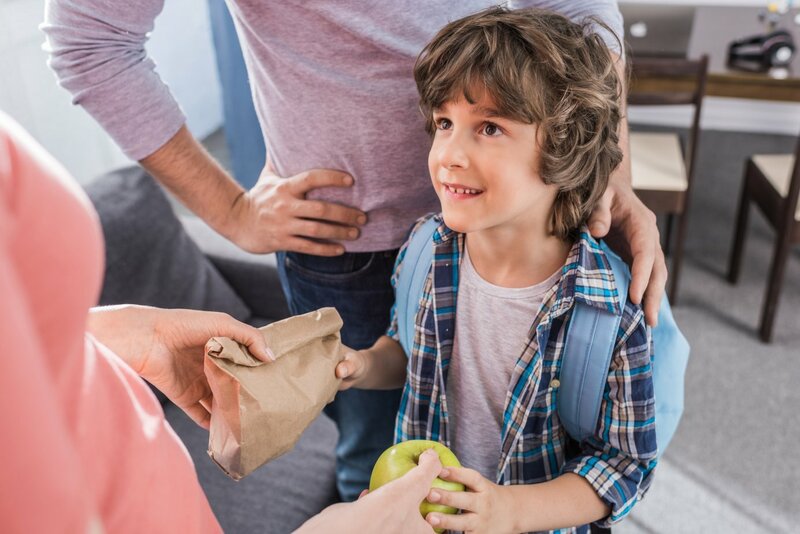 Have your child think of some of their favorite foods and instead of eating it all yourselves, make some care packages to distribute to friends, family, and strangers. Giving in a way your child cares about will make the process more impactful. Let your child take the lead. Take something that they are most interested in and help them gear it into a way that gives back. For example, do they love their pet like their best friend? Maybe take a Saturday morning to volunteer at your local animal shelter! This will make giving back even more exciting and inspiring. All of these larger instances of charity will prompt them to do small acts of charity in their daily lives. When adults integrate giving into children's lives, preforming acts of kindness becomes second nature. Giving helps kick-start your child's self esteem while infusing the world with joy, what can be better than that?